You might know from my Instagram post that last week I visited SK-II #ChangeDestiny Museum at Mall Kelapa Gading 3. 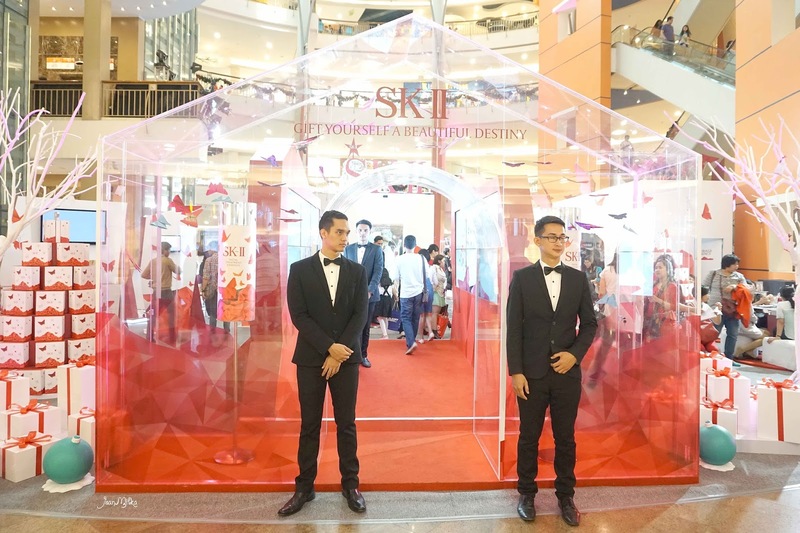 This time around, SK-II did not only provide skin test using their Magic Ring and consultation with their skin expert; but they also offered these amazing gift sets bundled inside their limited edition SK-II Festive Season packaging. Every year SK-II is known to have always come up with a new and unique concept for their limited edition packaging. I have always adored the beautiful and inspiring concepts they came up with for their limited edition design. They always know how to take gift sets the next level, thus pleasuring the lucky women who got these packages. 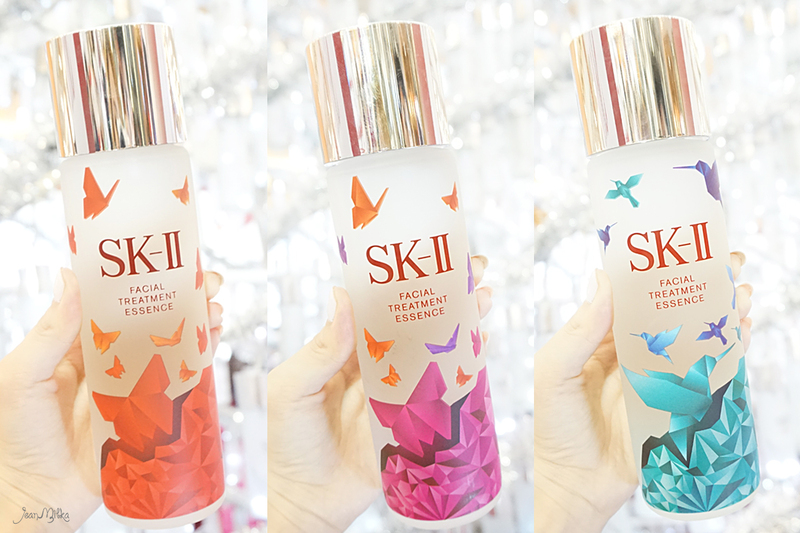 This year, SK-II chose to transform its iconic Facial Treatment Essence and come up with a design concept they refer to as Wings of Change. These Wings Of Change designs symbolise the beauty of transformation. These designs were inspired by two beautiful winged creatures, the butterfly and hummingbird. In total there are three designs, differentiated by three different colours. Each colour design represents the various stages us women must undertake in life's journey in order to change our destiny #ChangeDestiny. This makes the SK-II Wings of Change limited edition design a meaningful gift based on the giver or recipient's personal background and life stories. 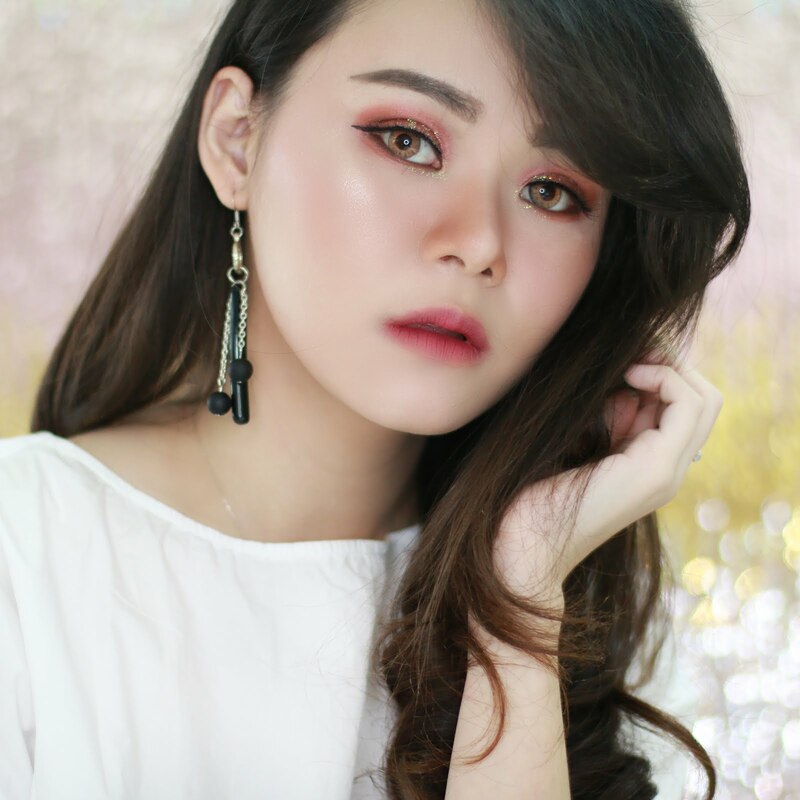 The Red Butterflies design symbolises Boldness which is the driving force behind the courage and will power to control and change your own destiny. The Pink Butterflies design symbolises Encouragement; that which portrays love and affection, crucial aspects a woman should attain before they tread the path to transformation. Last is The Blue Hummingbirds which symbolises Perseverance that indicates a strong and unyielding spirit, one that refuses to give up just like hummingbirds. 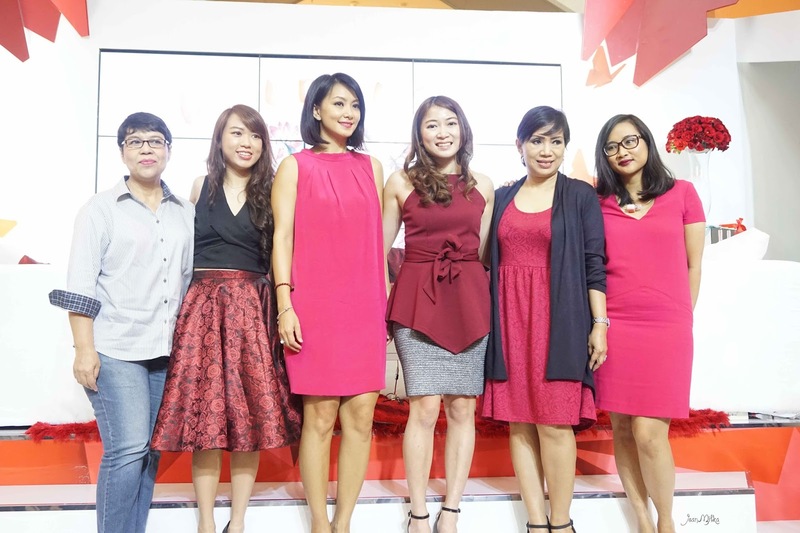 The event was also attended by the loveky Susan Bachtiar, Brand Ambassador of SK-II Indonesia. Susan chose The Pink Butterflies design as her favorite. There was also a makeup demo performed by Oscar Daniel on three beautiful ladies where by each makeup looks were specifically painted to represent Boldness, Encouragement and Perseverance. 6 komentar on "Limited Edition SK-II Gift Sets 2015 Wings of Change"